It’s a game day extra! Seems like a very exciting time to be alive right now for us card game players! 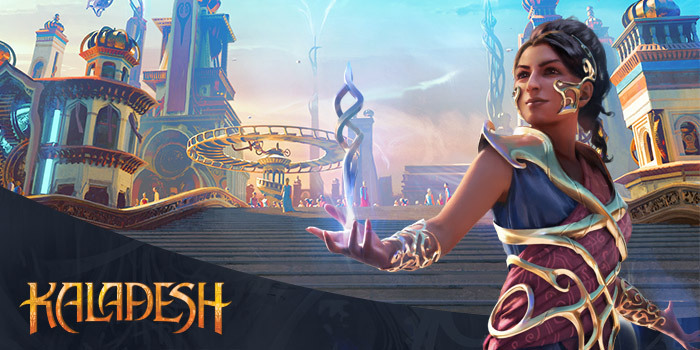 Yesterday was “announcement day” over on Wizards of the Coast’s website, where they published an article featuring a whole host of announcements about the future of the game, which sound really cool! First off: we’re going to Kaladesh next block, the home plane of Chandra. 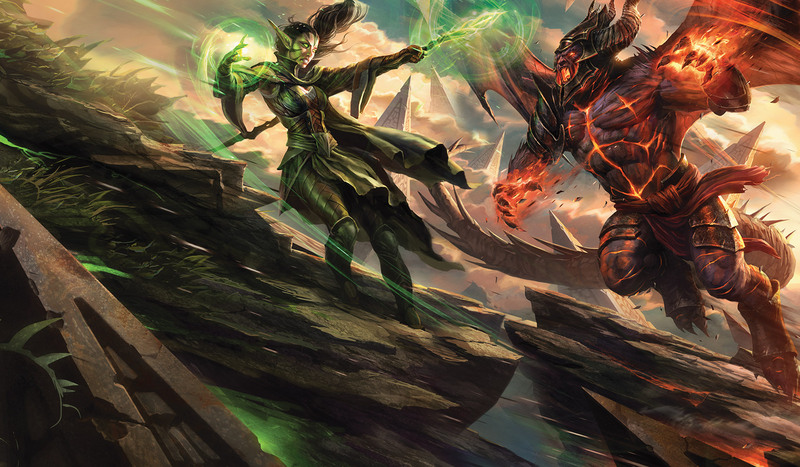 This should be really interesting, lots of artifacts no doubt… But yeah, the artwork, I’m guessing for the new planeswalker Saheeli Rai (above) looks stunning as usual, at any rate! The next duel deck also looks like a lot of fun – Nissa vs Ob Nixilis! Ob Nixilis is a favourite of mine, as I do love a molten fire demon, so that’ll hopefully be a lot of fun to get hold of. However, the reason I wanted to write a blog today about all this is due to the blog from the head designer Mark Rosewater, which details the replacement for core sets that we’ll be seeing this summer. At least, that’s how it starts, but the product he goes on to discuss is described as a replacement for Intro Packs. Well, anyway. Planeswalker Decks sound cool, a dual-colour, Standard-legal deck built around one copy of a mythic rare planeswalker from the current block. At first, I thought this will potentially ruin the economy of the mythic rare, or else see these packs never in stock anywhere because the new Liliana card is so powerful or whatever. However, it seems that these planeswalkers are going to be a little different to the standard type – in fact, it seems these are going to be completely separate from the block the deck is attached to. So we won’t be seeing these walkers in boosters. In addition, the decks will have specific cards that interact with these intro-walkers that aren’t in the block but will be Standard legal while the block is in Standard. Seems reasonable, anyway! I’m not a huge fan of planeswalkers – I prefer to build my decks around Legendary Creatures, if I’m building a character deck at all, so I don’t see a big draw from that side of things. Part of the reason for my dislike of planeswalkers is that I find them so confusing in-game. It seems like these new decks might actually be the product I need, then, to get me playing this type of card, as they’re going to be marketed with beginners in mind. It certainly seems exciting, so I’m looking forward to seeing the lay of the land when these things hit in September! Previous Previous post: On the path to adventure! Next Next post: More Star Wars musings!